You no longer need to dig and descend into the mines, take care of lighting the dark cold caves or create complex generators that are not always able to provide you with ores. 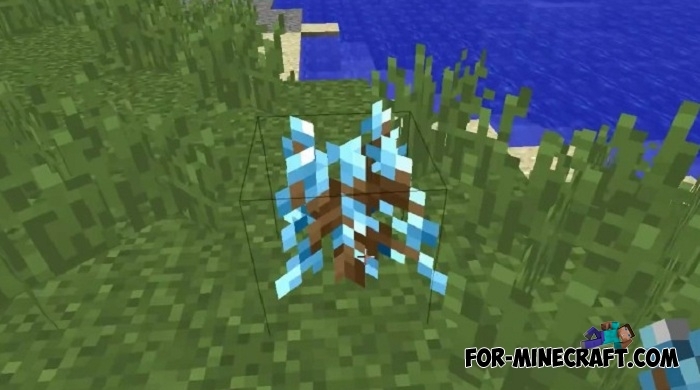 Now ore trees will be generated all over the world and you can get extra ore by chopping down such trees. What could be simpler than the extraction of wood, especially since the trees will get ore components? 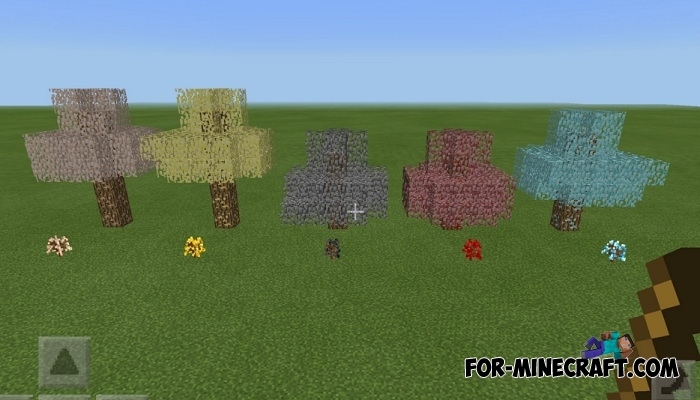 In the Tree Ores mod trees are of two types: regular and ore trees. The second type perfectly replaces mine ores, since the complexity of mining such ores is much easier and the time spent on preparing and searching for ores is reduced several times. 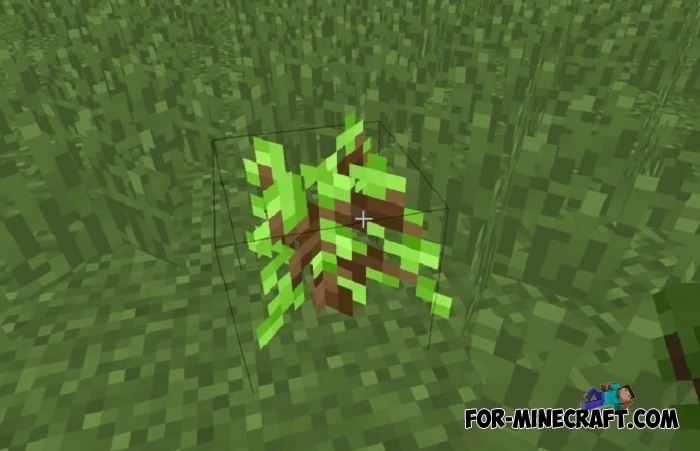 Ore trees can grow right near your house. 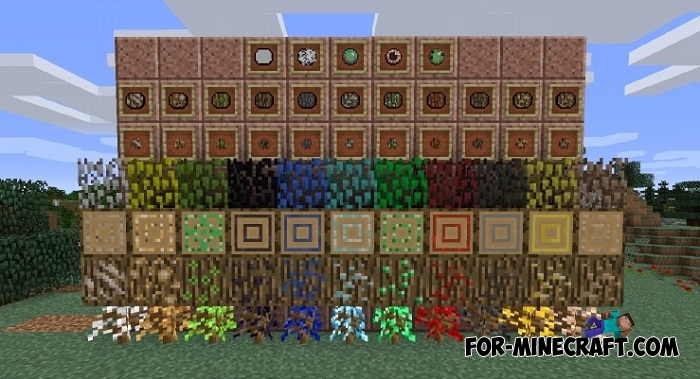 If you want more ores, collect seeds and grow ore trees in your garden or farm. 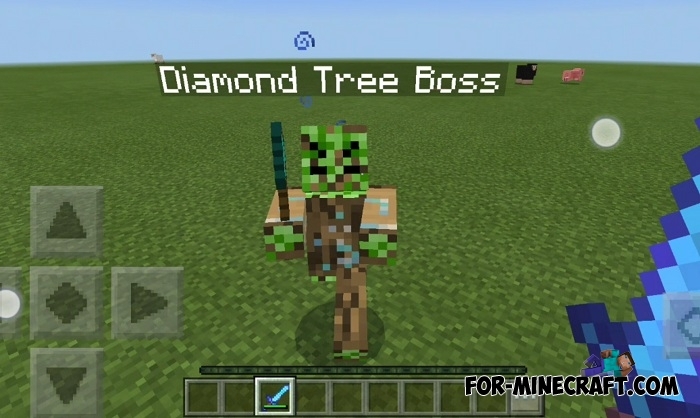 There are also several bosses that can suddenly appear after you cut down some ore tree or summon it. 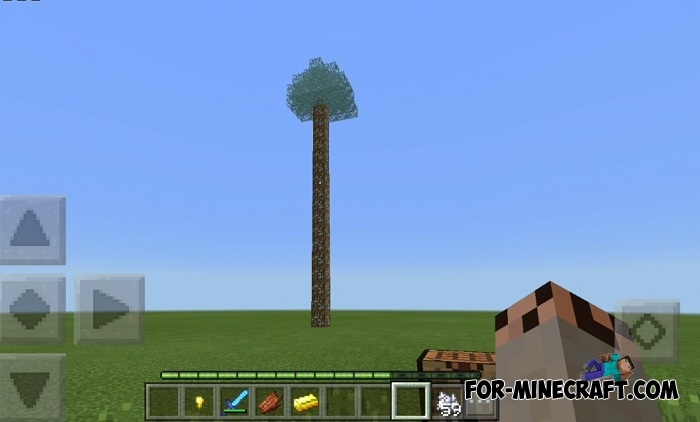 How to install the Tree Ores mod?